South China Sea is sitting on a 20 trillion cubic meters of natural gas and 11 billion barrels of oil. China termed it as the "second Persian gulf" ... and as usual claims itself to be the sole owner of this wealth. Due to Andaman Nicobar, India is not far away from this strategic region and needs to guard it's interest immediately. The South China Sea (SCS) area comprising of islands, rocks and reefs are considered strategic, economic and political assets for the littoral states in the SCS because, they can serve as legal base points for states to project their claims of exclusive jurisdiction over waters and resources in the SCS. Territorial disputes in the SCS involve both island and maritime claims among seven sovereign states within the region, namely Brunei, the People’s Republic of China (PRC), the Republic of China (Taiwan), Indonesia, Malaysia, the Philippines, and Vietnam. The South China Sea is the world’s second busiest international sea lane. More than half of the world’s super tanker traffic passes through these waters. The main reason behind the scramble for the two island chains (Spratly and Paracel) is their richness in natural resources, especially oil and gas. Maritime boundary along the Vietnamese coast between Vietnam, China, and Taiwan. Maritime boundary in the waters north of the Natuna Islands between Indonesia, China, and Taiwan. Maritime boundary north of Borneo between Vietnam, China, Taiwan, Malaysia, Philippines, and Brunei. Islands in the southern reaches of the South China Sea, including the Spratly Islands between Vietnam, Malaysia, The Philippines, Brunei, Taiwan, and China. Maritime boundary off the coast of Palawan and Luzon between the Philippines, China, and Taiwan. Islands in the northern reaches of the South China Sea, including the Paracel Islands between Vietnam, China, and Taiwan. Maritime boundary in the Luzon Strait between the Philippines and Taiwan, including islands. The U-shaped horse shoe type nine-dash line area claimed by China which covers almost the entire islands of South China Sea and overlaps Exclusive Economic Zone claims of Brunei, Malaysia, the Philippines and Vietnam. As of 1996, Vietnam, the Philippines, Brunei, Malaysia and other countries asserted claims within the Chinese ‘nine-dotted line’. The United Nations Convention on the Law of the Sea, (UNCLOs, 1982) which came into effect on November 16, 1994, resulted in more intense territorial disputes between the parties. As of 2014, all of the Paracel Islands are under Chinese control. Eight of the Spratly Islands are under Chinese control; Vietnamese troops control the greatest number of Spratly islands, Eight islands are controlled by the Philippines, five by Malaysia, two by Brunei and one by Taiwan. Although much efforts have been made at bilateral (between the countries involved in the dispute) and multilateral level (ASEAN, East Asia Summit, ARF etc), any peaceful solution in resolving the protracted dispute in this resource rich and world’s largest sea is still a distant dream. Frequent cases of face-offs (most recently between China and Vietnam) resulted in making it the most volatile and dangerous flash point with great potential to escalate tension and starting conflicts in future. In short, it’s an unending geo-strategic game for controlling huge hydrocarbon resources beneath the sea and disputed islands/archipelagos there in. On April 19, 2011 China termed the region as the “Second Persian Gulf”- a repository of 50 billion tons of crude oil and more than 20 trillion cubic meters of natural gas (about twenty five times China’s proven oil reserves and eight times its gas reserves). EIA estimates that the South China Sea contains approximately 11 billion barrels of oil and 190 trillion cubic feet (Tcf) of natural gas in proven and potential reserves. On July 20, 2011, the PRC, Brunei, Malaysia, the Philippines and Vietnam agreed to a set of preliminary guidelines which would help resolve the dispute. However, with Communist China staking its usual ‘historical claims’ (therefore, non-negotiable) in the entire sea, thereby ‘owing’ all its resources, thus, eclipsing any peaceful negotiated settlement of the world’s most dangerous dispute in the Indo- Pacific region, very near to the Indian ocean. Although India is a non claimant to the disputed South China Sea (SCS) islands it is concerned with the developments in the SCS. Even though the SCS area may seem far from the Indian mainland but in actual terms it is not so when one consider the Andaman and Nicobar Islands. It is also important to note that India’s trade with Japan and South Korea has been growing and hence, it is crucial that freedom of navigation is maintained in the South China Sea through which the trading routes between India and these East Asian countries pass. China has been wary of both India’s growing naval presence and ongoing works of oil and gas exploration agreements with its arch-rival Vietnam being conducted in the Exclusive Economic Zone (EEZ) of that country in South China Sea (SCS). China always reiterates that the entire sea in its backyard belongs to her, which, however, runs contrary to the international maritime legal norms under UNCLOS, of which China is also a signatory. So, Chinese Navy has been occasionally resorted to ‘obstructionist measures’ (like confronting Indian naval vessels, trailing them by its submarine resurfacing very close to it, transmitting ‘warning messages’ etc) that aim at denying Indian Navy’s access to the international water of the SCS, which again in clear violation of UNCLOS which being a party to it China must respect. The Global Times, a sister publication of the Chinese Communist Party (CCP), has termed China’s interests in the South China Sea as its “core area”, thus, “non-negotiable” claiming China’s overall ownership of the entire sea in its backyard a foregone conclusion, must be accepted by all. The reality, however, runs exactly opposite to it, with legitimate collective ownership of the sea within 200 nautical miles or EEZs of each country bordering the sea as per universally accepted rules of UNCLOS, which is legally binding on China but for which China has scant regard. Hence, China has no right to deny presence of Indian Navy or obstructing India’s energy exploration in the region. India is the fourth largest consumer of energy in the world after USA, China and Russia. India’s economy is growing rapidly and to sustain this growth uninterrupted energy supply is essential. The Planning Commission of India in the 12th Five Year plan (2012-17) has underlined that coal dominates the country’s energy mix with a robust 52% share in primary energy consumption, followed by oil at 30% and gas at 10%. Other sources include 2% hydroelectricity and less than a per cent nuclear energy. Import dependence of oil consumption is currently about 75%, which is projected to increase to 80% by 2016-17. Import component of gas is currently ruling at 19%, slated to increase to 28% by 2016-17. Similarly, coal import is expected to rise from about 90 million tons at present to over 200 million tons in 2016-17. Even though the availability of oil and gas in the South China Sea (SCS) has only somewhat limited potential to satisfy India’s energy quest in comparison to West Asia, it is still an attractive option for India’s energy security and related diplomacy. In spite of China’s frequent objections, New Delhi has continuously underlined that the OVL will go ahead with oil and gas exploration in the disputed region or three offshore blocks (Block No 116, 127 and 128) which Vietnam legitimately claims as its own as they fall within its EEZ (within 200 nautical miles). Interestingly, the OVL has been working in this region since 1988 especially on block 116 but only very recently China has started opposing India’s oil exploration in the SCS. Further, Russia’s Gazprom also has been exploring oil and gas in the Vietnamese block 112 and 129-132 in the South China Sea since September 11, 2000 but Beijing never uttered a single word against Russian exploration. Then, why China is ‘crying foul’ now? All these instances expose the hollowness of China’s so-called ‘non-negotiable’ ‘historical claims’ in its “core area” i.e. South China Sea. The issue at stake here is that if India really supports freedom of navigation in the South China Sea (SCS), then it will be necessary for India to assert, back up and safeguard its own interests in the region. The SCS is not only a strategic maritime link between the Pacific and the Indian Oceans, but it is also a vital gateway for shipping in East Asia. 80% of China’s energy imports and Japan and the two Koreas (South and North) oil supplies pass through these waters. Almost 55% of India’s trade with the Asia-Pacific transits through the South China Sea . 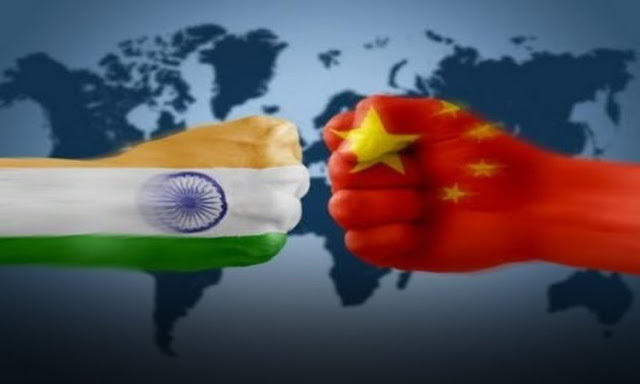 Therefore, it is quite evident that India derives considerable economic benefits from the SCS being an area where all actors enjoy a level playing field. The recent upsurge in tensions in the South China Sea represents a security flashpoint with global consequences. The dispute has the potential to turn into a military conflict that could end up affecting the peace and security of the entire region and any disruption or conflict relating to SLOCs (Sea Lanes of Communication) will hurt India’s energy and economic outlook severely. Till March 31, 2014, the OVL had invested around $650 million in the Vietnamese Blocks and this can be increased. At present, OVL produced 4.023 BCM (Billion Cubic Metres) in 2013-14 of gas as compared to 2.249 BCM during 2010-11 form the three Blocks (116, 127,128) of Vietnam which is more than what the OVL is producing from Russia’s Sakhalin-I, AFPC-Syria and BC-10 of Brazil. India’s national interest lies in the freedom of navigation and any disruption or conflict relating to sea lanes of communications (SLOCs) will hurt her severely as the South China Sea channel is significant for its energy security. It is, therefore, now a national maritime imperative for India to channelize its foreign policy and naval assets with the littorals of the South China Sea substantively, rather than symbolically. New Delhi must be strong in calling spade-a-spade with Beijing’s utterly nonsensical claims in the South China Sea that go against all established international legal norms regulating global maritime affairs, never to be bullied by the world’s ‘No 1 Bluff-Master’ - Communist China. (The writer is a Geo-Strategic Analyst & Assistant Professor (Political Science) at Loyola College (NEHU), Meghalaya.